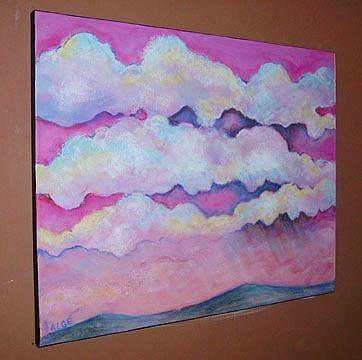 I created this piece specifically for "Think Pink" - an ebsq exhibit to benefit the Susan G. Komen Foundation (October 2007). I wanted to participate to show my support for breast cancer research and education. 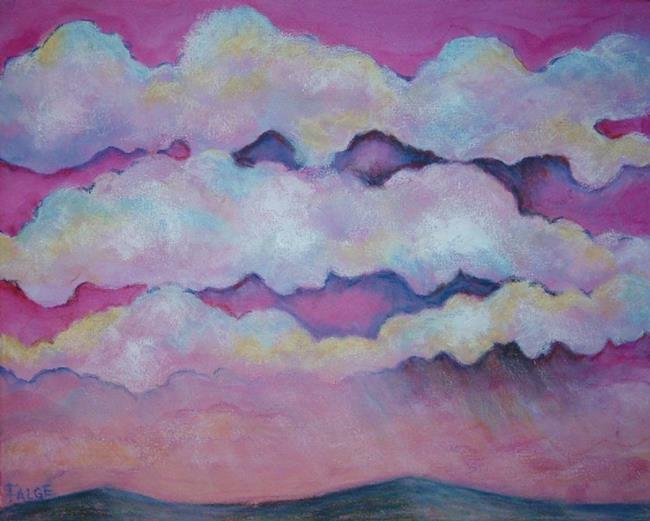 One of my favorite subjects to paint is the sky and clouds, and I thought it particularly fitting for this show, as they represent (to me, anyway!) the mother, as in Mother Earth or Mother Nature, a typically female aspect of humanity on this earth. And in sunset or sunrise, the clouds often reflect the color of pink. Other philosophical themes come to mind, such as a silver lining in every cloud, and the sunrise always bringing a brand new day - both symbolic of acknowledging HOPE. Never give up hope. Breast cancer is more curable than ever, if caught early. So educate yourself, get regular check-ups,and never give up hope!